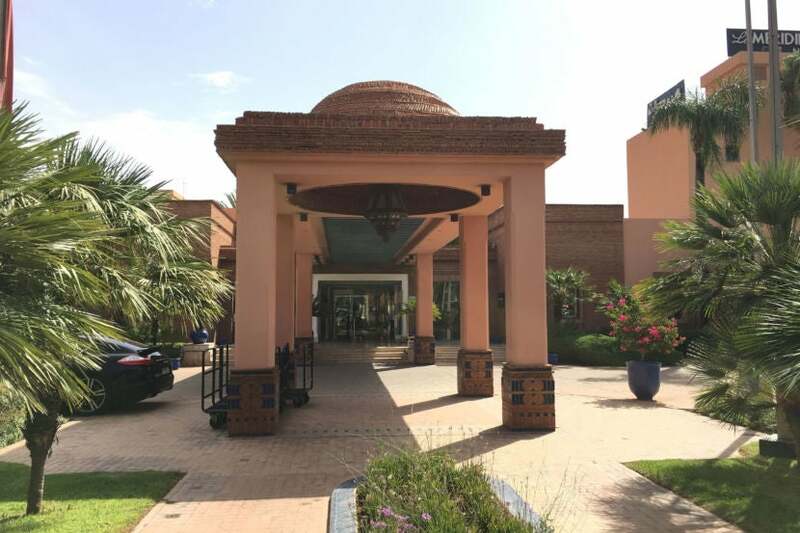 TO THE POINT: Le Méridien N’Fis makes a wonderful base for a first trip to Marrakesh. The pros: affordable rates, a great breakfast buffet that was included, a location that made it easy to see everything and an amazing resort-style pool to help you beat the heat. The cons: sluggish in-room Wi-Fi. 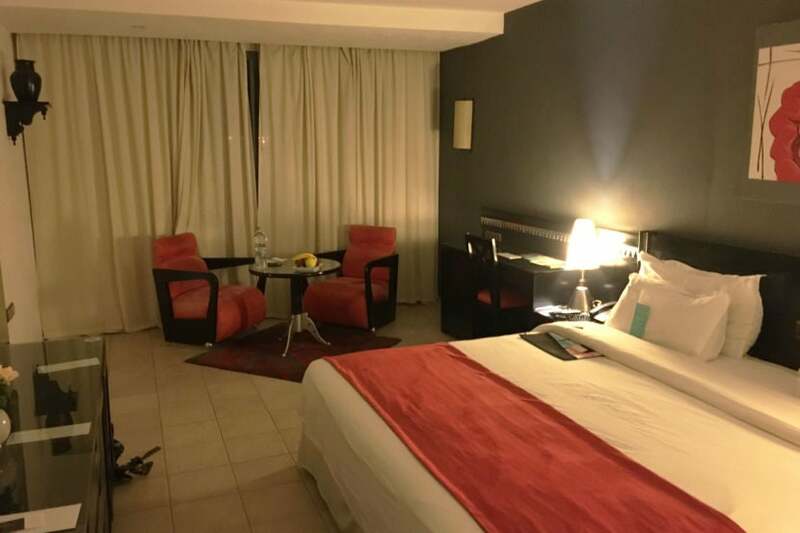 When looking for a place to stay for my first-ever trip to Marrakesh, the Le Méridien N’Fis was a great value option, with prices starting at just $93 per night for a standard room. With my trip being less than a week away, I decided to book a standard room at the prepaid rate of $93 per night — including breakfast. I was also given the option to book my stay for 3,000 Starpoints outright or to redeem 1,500 Starpoints and pay $30 in cash. The points option was great, with a value of 3.1 cents per point, while the cash and points option was even better with a value of 4.2 cents per point. Despite the decent redemption value, I decided to book using cash and take advantage of my Citi Prestige card’s nifty 4th night free benefit. As a result, I earned a $93 statement credit on my card and averaged the cost down to just $69.75 per night! My room cost just $93 a night — and I got the 4th night free thanks to my Citi Prestige card. I arrived at the hotel around midnight and was immediately greeted by hotel staff. I noticed there were security guards by the gate and front entrance, too. The entrance to the Le Méridien N’Fis, much more impressive in daylight. At check-in, I was happy to hear I’d been upgraded to an Executive room with a pool view, the largest of all the non-suites. While as an SPG Platinum member, I’m entitled to receive a suite upgrade at check-in, but since I’d gotten to the hotel so late at night, all the suites were already taken. The room I was upgraded to normally would have cost me $62 more per night though, so I was grateful for the free upgrade. The Executive room I was upgraded to normally goes for $155 a night. The room itself was a little on the smaller side, but was on the top floor of the hotel and offered nice views of the resort-style pool below. The space was nearly 350-square-feet and included a small seating area with a desk, table and chairs. 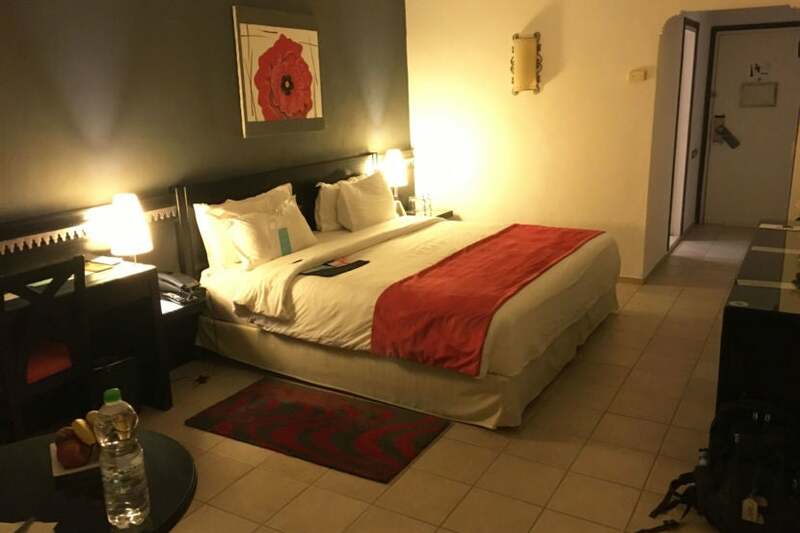 The room had small seating area and large king-sized bed. 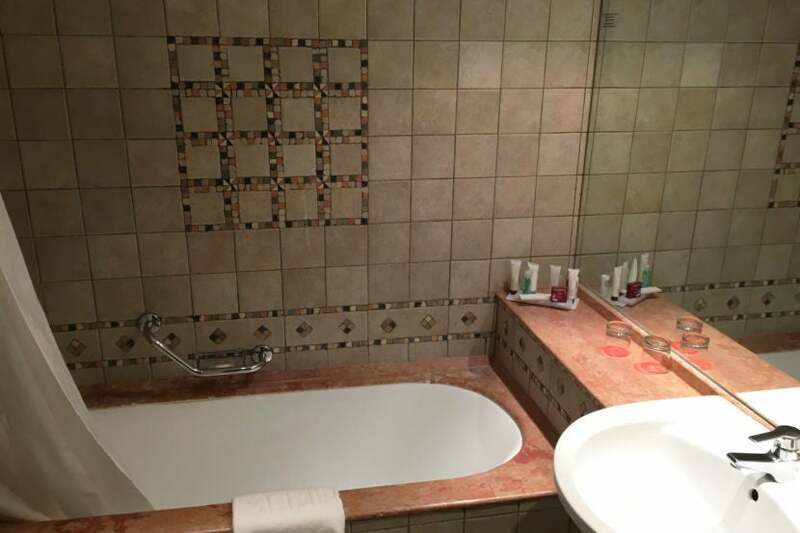 There was also a king-sized bed and a bathroom with a tiled combo bathtub/shower. The bathroom featured very nice tiles. The closet had a safe so I could store things, as well as a mini-fridge stocked with food and snacks. Another view of my room at Le Méridien N’Fis. There were blackout curtains to help prevent the sun from shining through my windows in the morning. Temperatures reached a whopping 110 degrees Fahrenheit each day while I was there, so air conditioning was vital — luckily, it worked very well, keeping the room a cool 70 degrees the whole time. The in-room Wi-Fi was very disappointing though. Despite paying for “high speed” access, I still had trouble conducting even basic searches and ended up relocating to the hotel lobby whenever I needed to get some work done. I had to head down to the lobby for solid Wi-Fi most of the time. The hotel was much more resort-y than I’d anticipated. Its pool was large, with a jacuzzi at the far end. There was a restaurant located near the pool, in addition to two others that were also onsite. The hotel also had tennis courts and spa treatment rooms. The hotel had three onsite restaurants. I loved how the pool was kept cool because of the extreme temperatures outside, so it always felt refreshing on an insanely hot day. 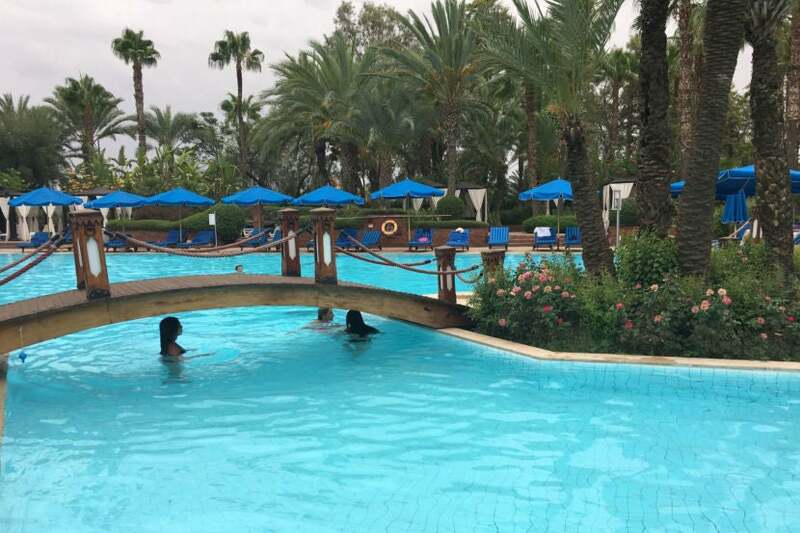 I quickly learned to get my day started around 6:00am to avoid the heat and to come back to the hotel around 2:00pm for lunch and a dip in the pool during the hottest part of the day. Beat the heat by spending time in the hotel pool. 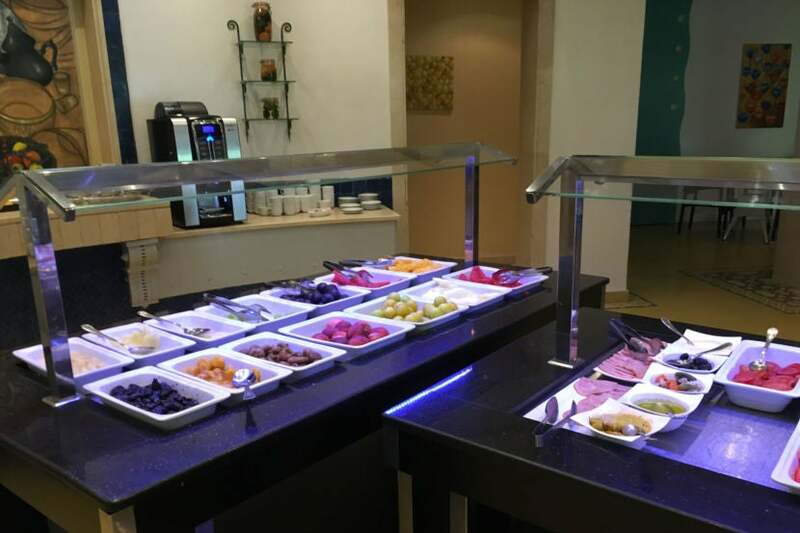 I enjoyed a free breakfast buffet each morning, which was surprisingly wonderful — it featured a full omelet station, as well as a large selection of fruit, pastries, a juice bar and a crepe station. Given that breakfast had been automatically included with the standard prepaid rate, I thought this was a great value. The breakfast spread offered many tasty options to choose from each day. Le Méridien N’Fis was in a great spot, too, located right near a mall and about a 5-10-minute taxi ride to both the new town and old town center — be sure to negotiate with every taxi driver and vendor in town, as they seemed to hike their prices up for tourists. While it was certainly within walking distance of many places I visited, I chose not to attempt the walk because of the heat. The Royal Palace was only a 10-minute drive from the hotel. 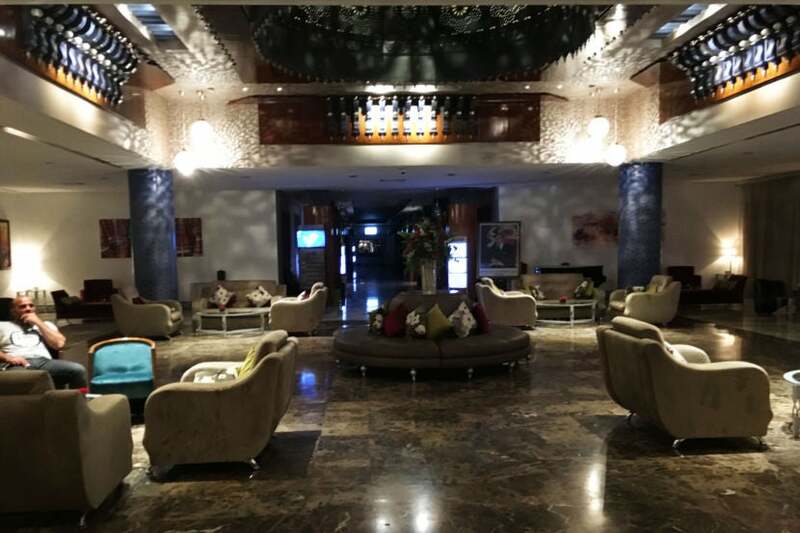 I enjoyed staying at this hotel largely because of the buffet breakfast, the amenities and the wonderful level of service — on my last day, the concierge even went to the train station to buy me a ticket. The city itself is a fabulous tourist destination, from the restaurants and squares to its world famous spice markets. 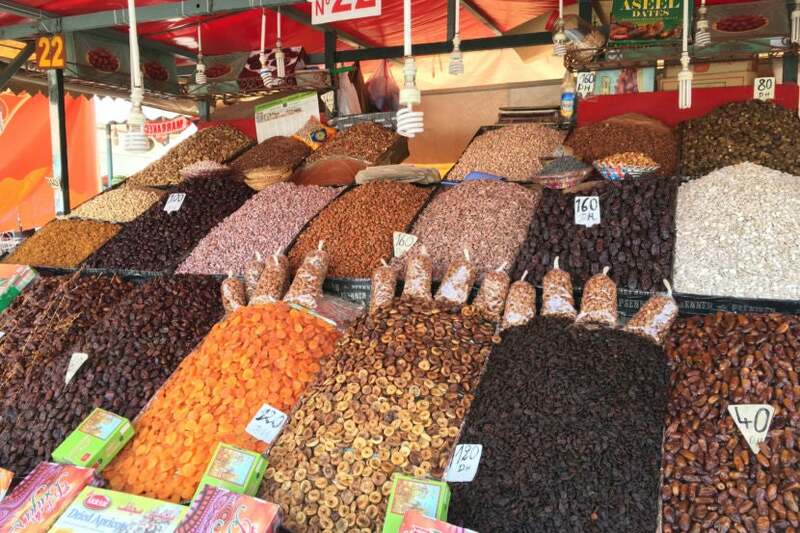 Marrakesh is known especially for its colorful spice markets. 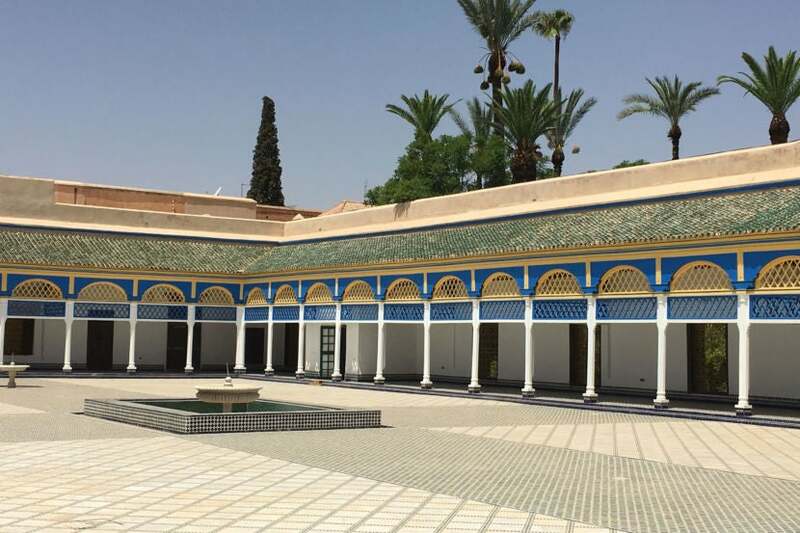 While Marrakesh was an amazing city to visit, the summer heat did reach 110 degrees Fahrenheit each day, which made it somewhat unbearable. Make sure you are well equipped with water and sunscreen before arriving, or consider visiting during the winter months when it’s cooler and the nearby Atlas Mountains are decked out in snow. 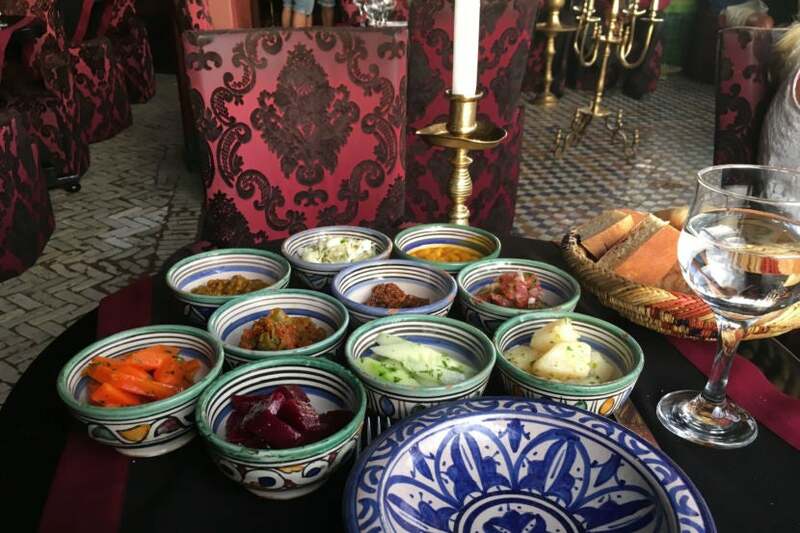 Tasting traditional Moroccan salad in Marrakesh was a delicious experience. 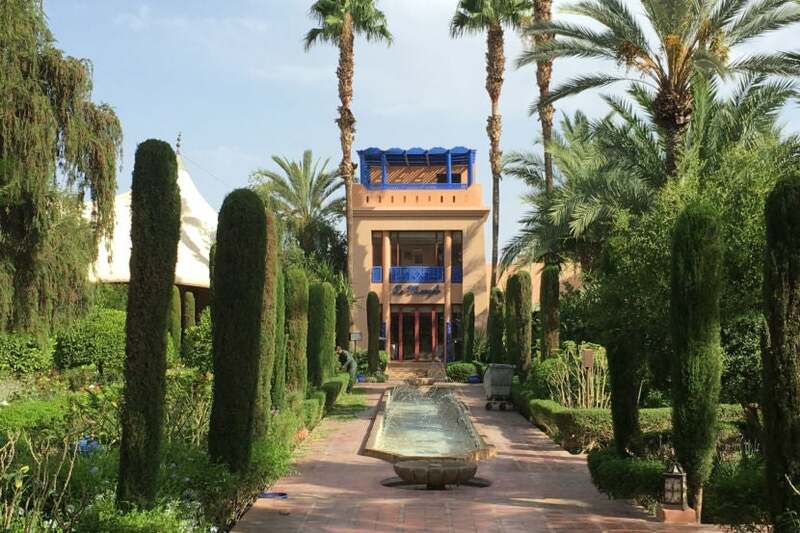 Le Méridien N’Fis made my trip to Marrakesh even better, with an upgraded room and Platinum-level treatment. If this hotel were in the US or the Caribbean it would almost definitely be a considered as an SPG Category 4 hotel, if not higher. I would definitely recommend this hotel for people visiting this vibrant city. Have you stayed at Le Méridien N’Fis? Tell us about your experience, below. Featured image and all other photos are by the author.